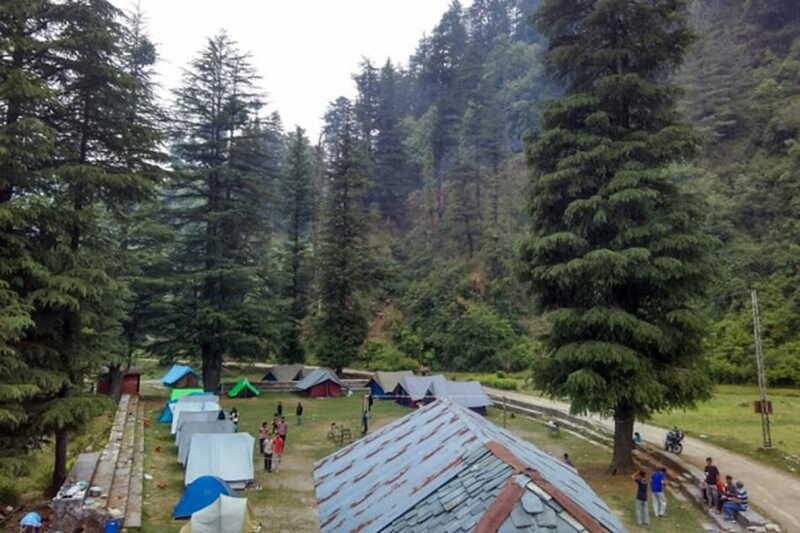 Camping in Barot is the most popular family and corporate weekend getaway from Punjab, Haryana & Chandigarh. 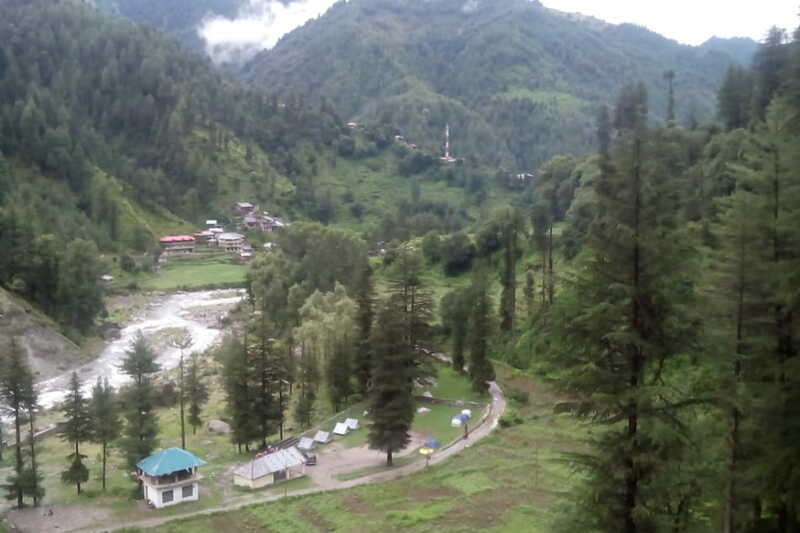 Barot is situated at 6,100 ft. in Mandi district of Himachal Pradesh. It is at the distance of about 260 Kms/8 hrs from Chandigarh and 200 K.M. away from Pathankot, tucked away in the midst of deep forests of cedar and oaks. Set in the heart of the Indian Himalayas and surrounded by dense Pine, long wooded slopes of Deodar, Pine, Oak and Rhododendron forests. 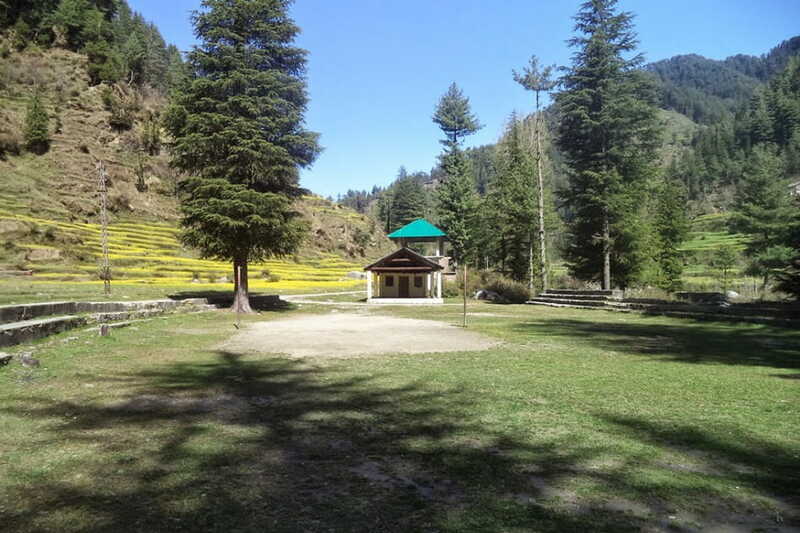 Camp Carnival at Barot is situated at 6100 ft high in the Hills of Barot valley. It is only 55 KM away from Bir – Billing, the famous world cup paragliding site. It is 66 Kms from Mandi and 40 Kms from Jogindernagar. The camp offers tranquillity seems to be straight out of some romantic classic. The beautiful and picturesque 180-degree view of the green Himalayas will fill you with a romantic charm. Beautiful and captivating environment and camp life will make you feel like the love and pleasure of lying in the lap of Nature. Arrival on Camp Noon & Refresh & Lunch. Post Lunch gets ready to trek to the Shanan power project lakes (made during 1926-1932) through Barot village where you shall see the Himalayan way of living and old style houses. Trek also goes through Jalan village where the home of Colonel Batty is situated. Col. Batty was the engineer who made this project and haulage trolley (mountain ropeway) in 1926. Reach to Big lakes of Shahan power project and see the beauty of nature and old engineering and machines there. Tea and snacks at evening. Enjoy playing various games like volleyball, badminton etc. Enjoy the dinner and bonfire. Get ready to trek to the Shanan power project lakes (made during 1926-1932) through Barot village where you shall see Himalayan way of living and old style houses. Reach to Big lakes of Shahan power project and see beauty of nature and old engineering and machines there. Return to campsite at lunchtime. After lunch have some rest, enjoy near Uhl river or enjoy playing various games like volleyball, badminton etc. Have tea and snacks in evening. Enjoy the dinner with bonfire and DJ music. Morning wake up call, tea and enjoy the sunrise in the valley and have a breakfast. 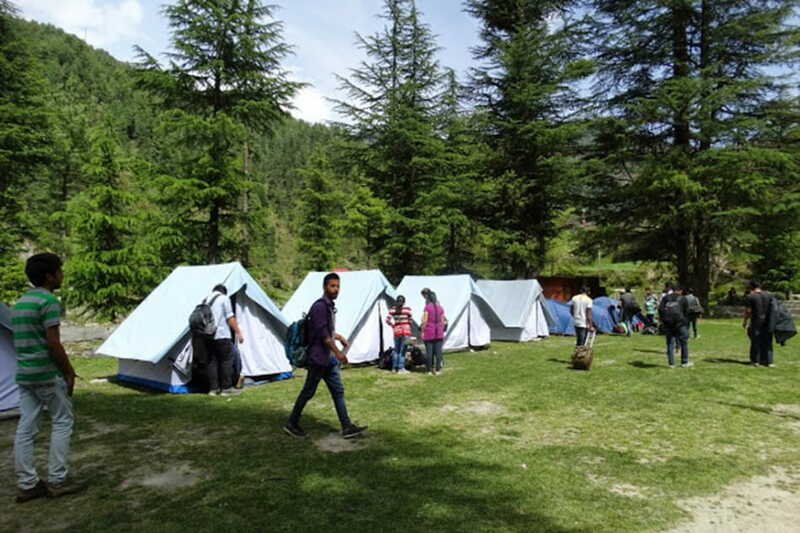 Check out from camp and move towards your destination with unremarkable memories of Adventurous Camping in Barot. Accommodation in dome/ alpine tents. Breakfast, Lunch, Complimentary Evening Tea, Dinner. Breakfast: Stuffed Parantha, Dahi, Pickle or puri bhaji or Omelet, Eggs with tea. Bonfire at night with DJ music. Does not includes any transport. In case of unforeseen weather conditions or government restrictions, certain activities may be cancelled and in such cases the our service partner will try his best to provide an alternate feasible activity. Free Access to Togedr's Full Content, Itineraries and Travel Guides.